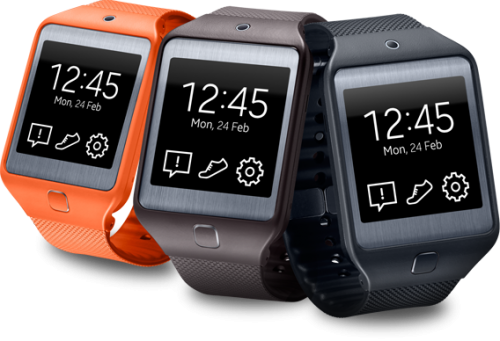 The Samsung Gear 2 & Gear 2 Neo are expected to launch in April 2014. These devices are compatible with most high-end Samsung devices and Note tablets via bluetooth. You can also connect a bluetooth headset with this device to act as a MP3 player. Like the Gear Fit, it will come with interchangeable straps; black, grey, orange, and brown. They will have a sAMOLED screen and are IP67 certified., dust and water resistant (up to 1 meter). These two devices will be released on Tizen OS (Android). The interface is easy to use and allows you to customize everything; theme, background, wallpaper, etc. Unlike the Gear Fit, this Gear 2’s have a built-in microphone and will automaticlly pick up your calls on speaker. It also has connected notification which notifies you each time you get a new text message, IM, e-mails, and application notifications. It also features S Health, an exclusive Samsung feature. S Health has a heart rate sensor, pedometer and allows you to manage your workouts. It also features S Voice which helps you to search the web, send e-mails and text, and use the GPS handsfree. It will carry 4GB of internal memory and a 512MB RAM. It has a dual-core, 1 GHz processor for faster navigation. The Gear 2 carries a 2MP, FHD, stillshot camera and 720p video recorder. Unfortunately the Gear 2 Neo will not come with a camera or camcorder. The Gear 2 models will have a home button, making this device very user friendly. It also features another exclusive Samsung feature, called WatchON. 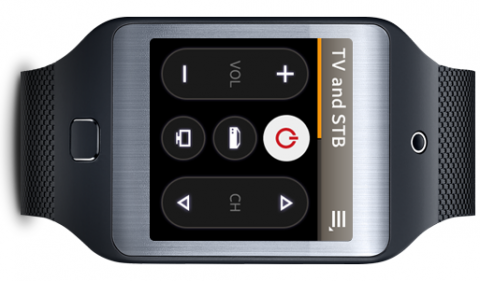 This application allows you to use your Gear 2 and Gear 2 Neo as a remote control with a irLED sensor. You can use this to control televisions and set top boxes. The battery should last 2-3 days, depending on your usage. Unlock Your Samsung Device Today!